Prosecco is a phenomenon, the most popular light fizz in the world. Bubbly, delicious, cheap. This pack celebrates the allure of our favourite drink, in memorable and witty images, fantastic posters and, featuring great prosecco cocktails. 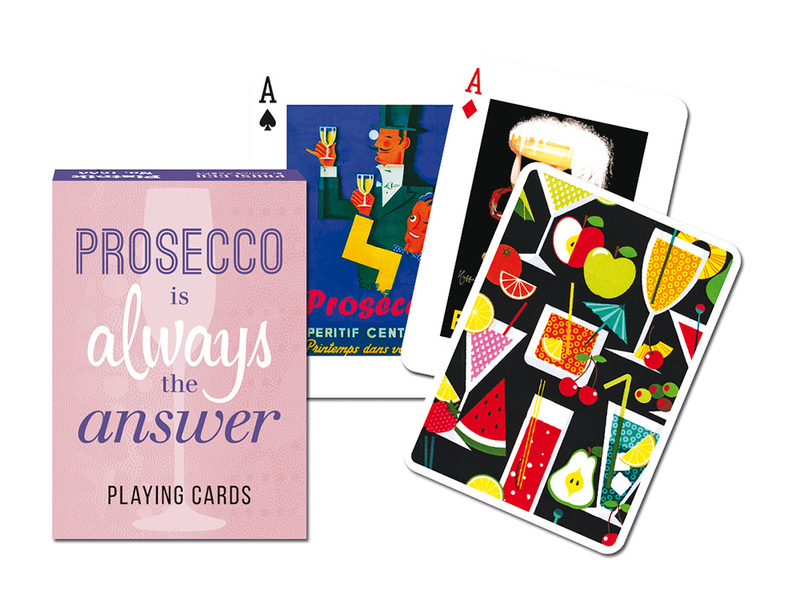 Like all Piatnik playing cards, Prosecco is a pack of high quality cards that are presented in a durable tuck box. With 52 unique designs, these cards are a joy to handle again and again.